Striata Spotlight Insights eBilling adoption rates – what’s a realistic goal for 2012? eBilling adoption rates – what’s a realistic goal for 2012? As an eBilling practitioner, the bad news is that you are probably falling short of your target numbers for paper turn off. The good news is that it’s not your fault – but this may not prevent you from getting the axe. In this issue of eBilling Insight, we interview Mike Wright, CEO, Striata and ask – what’s a realistic paper turn off goal for 2012 and how can we get this right? Wright also explains what is preventing billers from achieving significant eBilling adoption and how an innovative consent process can see your paper turn off rates break industry averages within just a few months. 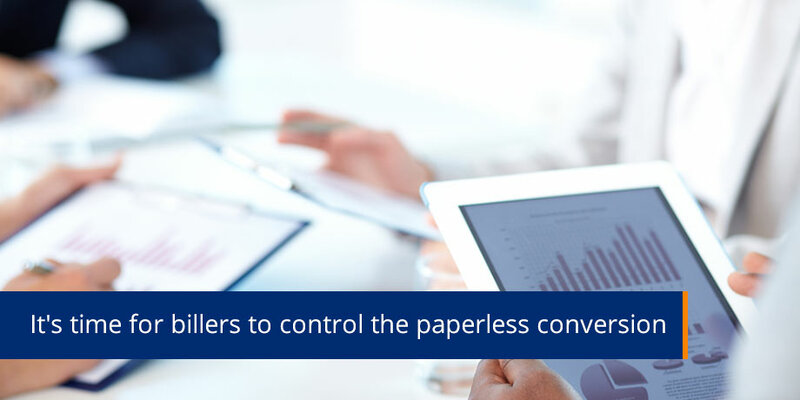 Q: Let’s start with the big question – what’s a realistic goal for paper turn off? A: “Realistically, allowing for a quarter of your client base to stick to paper for various reasons, the goal should be 75% customer adoption. Q: What is preventing billers from achieving significant paper turn off rates? A: “While it’s true that poor craftsmen blame their tools, billers may have a valid case to point at their portal model as the reason for missing adoption targets. Q: How does email billing (or Push eBilling) differ? Q: What is the industry average for eBilling? A: “Adoption of eBilling is one thing, while the number of customers that have actually turned off their paper bill is an entirely different scenario and this is what you should actually be measuring, because it is where the ROI lies. Q: How do you set a realistic paperless goal? A: “A fully functional document distribution strategy should have the 3 P’s – Print, Pull and Push. Print may never go away, so expect 25% of your base to cling onto paper. Pull portals should be good for another 25% of customers in the long run, but at least half of these may want paper to include paper as a backup. Push email document delivery will quickly turn off paper for the other 50% of your customers, without massive marketing and incentive spend. Executives are not setting ridiculous success targets. Annual double digit growth is reasonable, but you need the right tools to deliver the right results.